Contitech enters into a Purchase Agreement to buy Veyance Technologies ( Goodyear Engineered Products)!! Contitech has announced entering into an Agreement to Purchase Veyance Technologies (the former Goodyear Engineered Products) for $1.9 Billion. 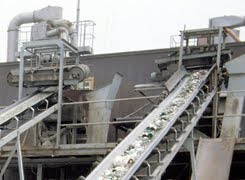 In 2007, Carlyle Group had purchased Goodyear Engineered Products from Goodyear Tire and Rubber Company...the Engineered Products Group being the Conveyor Belt, Hose, Power Transmission Belts, and the Automotive Rubber Components. This agreement will need approval from the FTC and will most likely close in the 1st Quarter of 2015. 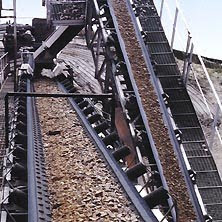 As you know we have been vigorously promoting Contitech High Performance Conveyor Belt as part of our Advanced Rubber Technologies product offerings, and since 2006 have been a Key Distributor in the Northern Illinois, NW Indiana, St. Louis Missouri, and Fairfield Alabama serving Steel Producers, Coke and Petroleum Processors, and Power Generation, as well as Lime an Aggregate Processors. Under the Carlyle Purchase the use of the Goodyear name was due to expire in the next few years which is why the motivation to sell before that took place and the Goodyear name recognition had expired. 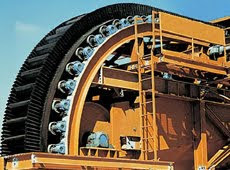 Contitech has been the reigning #1 World Leader in Heavy Conveyor Belt Market Share, while Goodyear ( Veyance Technologies) was # 2. The acquisition of the # 2 producer by the #1 World Wide Producer Contitech creates a force in heavy conveyor belt that will be second to none! Stay tuned or more updates ..... this is a very exciting time to be a Contitech distributor. 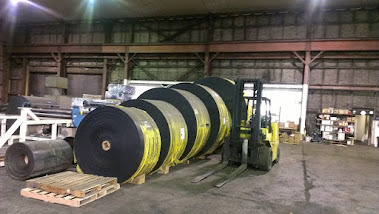 As an enduser of Conveyor Belt .... an perhaps a Goodyear user .... what better time to switch and align with the Team that continues to be he Leader in Market Share, Technology, Performance and Belt Life.